Daily yoga, a private beach at your doorstep and one hour of massage once a day makes this Yoga Journey a special treat. 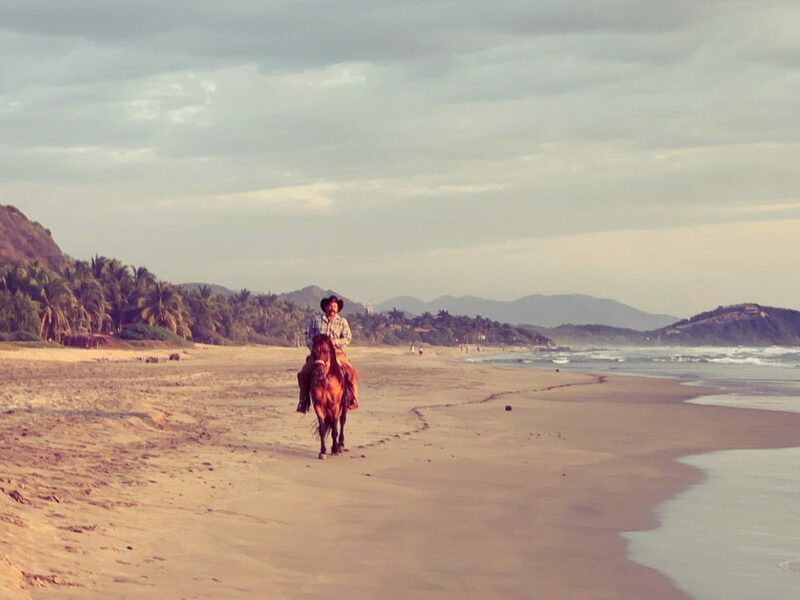 Shed the turkey blues for the Pacific blue waters and enter the holidays feeling fit and fabulous with simple and fresh home cooked meals, lots of yoga and miles of beach to walk or ride horses. 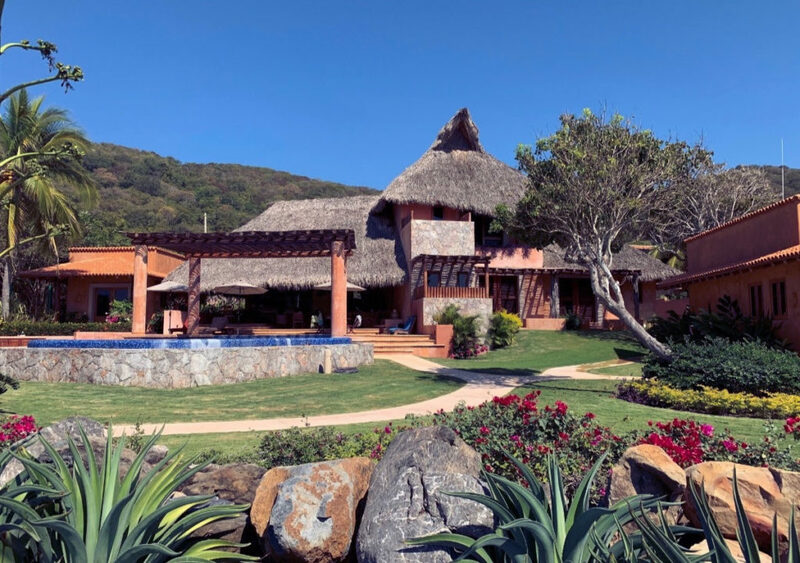 Our beachfront luxury villa located 30 minutes north of Zihuateneo, Mexico comes with an infinity pool, a private chef, masseuses, maid service and of course Yogini Ulrika to keep your yoga practice glowing. All deluxe suites are spacious and bright with plush beds, fresh linens, A/C, private baths, authentic decor and ocean views. A short walk down the beach there’s a laid back beach town with restaurants, cafes and beach bars. This gem is limited to 8-10 guests which makes for personalized yoga sessions in an intimate and private setting. Save your space today! 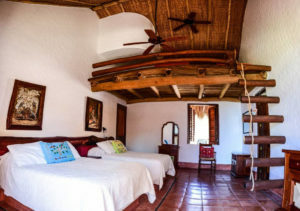 COST: 2,500 per person / double occupancy private ocean view suite casita. $2,350 per person / double occupancy deluxe ocean view suite in main house. One of the suites has a loft with two beds extra beds, inquire for friends and family. 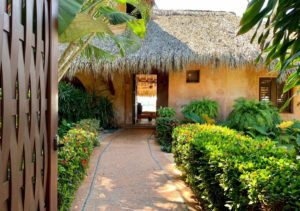 INCLUDED: Daily 60 minutes massages (FIVE), daily yoga, abundant and delicious breakfast and dinner, maid service and taxes. NOT INCLUDED: Airport transfers and lunches. Cash gratuity at the end of the retreat, $5-$10/ day. SIGN UP: $1,000 deposit saves your space. AIRPORT: Zihuateno, Mexico. Best deals on Alaska Airlines via LAX. Taxi service at the airport brings us right to the villa, 30 minutes from the airport. Taxi can be shared with those arriving and departing on the same flight. FLIGHT RESERVATIONS: Arrive ZIH on Sunday, Dec 1st / Depart Saturday, Dec 7th.